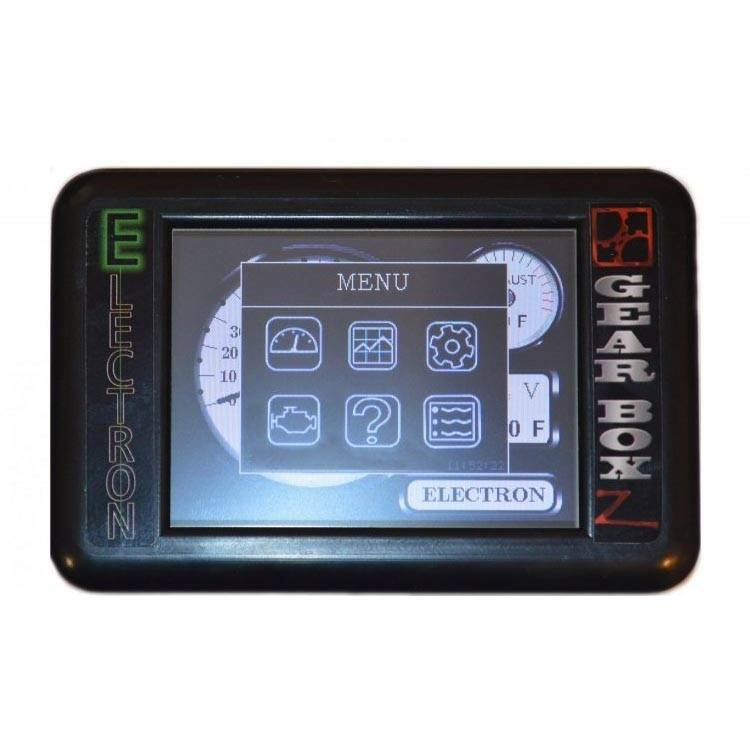 The GearBoXZ Electron is a high performance touch screen monitor for 2008-2010 6.4L Ford Powerstroke applications and comes pre-loaded with the GearBoxZ DPF-R 4.0 programmer. The DPF-R 4.0 is a basic module without adjustable horsepower levels that disables regen and allows for the deletion of the CAT, DPF and EGR Valve without throwing any codes. Horsepower levels can be added later or by selecting the DPF-R 4.0 PLUS model of the Electron. Automatic Transmission Only! The GearboxZ Electron for 2008-2010 Ford Powerstroke 6.4L is a diesel engine monitoring system with adjustable settings for tire size, speed limiter and cold air intake on/off. It monitors vehicle speed, active DTCs (Diagnostic Trouble Codes), EGTs (Exhaust Gas Temperature), battery voltage and engine oil temperature. The Electron installs quickly to your truck via the OBD-II port and a 3.5 inch LCD touch screen display makes it easy to operate. The Electron from GearBoxZ is available as a base model without any DPF delete tunes or horsepower levels or it may be purchased with DPF-R, DPF-R PLUS or Tachyon Plus tuning already installed. Tune files may also be purchased at a later date and if you already own a GearBoxZ programmer, the Electron can be stacked with your existing GearBoxZ products. If you own a 2008, 2009 or 2010 6.4 Ford Powerstroke, the GearBoxZ Electron is a versatile choice with numerous programming options to choose from.